Q: What are the tradeoffs between using L1-only and L1+L2 for PPP? A: Precise point positioning (PPP) is a technique that can compute positions with a high accuracy anywhere on the globe using a single GNSS receiver. It relies on highly accurate satellite position and clock data that can be downloaded from the International GNSS Service (IGS) or obtained in real-time from a number of service providers, using either the Internet or satellite links. As PPP does not rely on combining observations with simultaneous measurements from reference stations, it offers great operational flexibility and is extremely well suited for remote areas that lack the dense GNSS network infrastructure which we only find in cities and populated areas. The best possible GNSS accuracy, a few centimeters or better, is obtained by using carrier phase measurements from dual-frequency receivers. However, single-frequency receivers can provide decimeter accuracy at a reduced cost for the receiver and generally reach this level of accuracy much faster than a dual-frequency receiver does. A dual-frequency receiver may take as long as 20–40 minutes to reach centimeter accuracy. But a single-frequency receiver may give you decimeter accuracy within minutes. Indeed, single-frequency PPP may actually outperform the more advanced dual-frequency in terms of accuracy during the first 10 minutes or so . . . and yes, you read this correctly: single frequency is sometimes better than dual frequency. Later in this article, we will explain the reasons for this surprising observation. So then, what are the tradeoffs between single- and dual-frequency PPP? A wide range of possible PPP algorithms exist, both for postprocessing applications as well as in real-time and with many variations to the correction models and processing strategies being used. Some of them are available commercially from different providers around the world; others are available free of charge. Even more advanced approaches, including integer ambiguity resolution, are being investigated by research institutes and commercial organizations around the world and may come to the marketplace within a few years. It is impossible to describe all of these solutions here in any detail, only to give the basic operating principles. The common denominator for all PPP solutions is that they rely on highly accurate satellite position and clock data, usually from an external service provider. The ultimate source for satellite position and clock data is the IGS, which can be downloaded from the Internet for free. Table 1 (see inset photo, above right) provides an overview of the satellite orbit and clock products available from IGS, together with the accuracy of the products. The IGS products with the highest accuracy are the IGS rapid and final products. However, these are not available in real-time and can only be used for postprocessing. IGS also has predicted products, which are refreshed four times daily. Although these will not give you the same level of quality as with the rapid and final products, the solutions computed with the predicted part of the ultra-rapid orbits and clocks are still better than the stand-alone GPS solution. And, if you can wait for a few hours, you may also use the observed part of the ultra-rapid product, which has a much higher accuracy than the predicted part (See Table 1). For those who need the highest accuracy but cannot wait a few hours, or just for ease of use, observed orbit and clock data can also be made available in real-time. This is mainly the domain of a number of commercial providers and government agencies, such as the NASA/CalTech Jet Propulsion Lab, Veripos, Fugro, and so forth under various brand names. Nowadays, a number of free, but experimental, real-time orbit and clock data streams are also available over the Internet. The main advantage of the commercial providers is that they provide users with the satellite position and orbit data over a satellite L-band link that is integrated with the receiver, so that you don’t have to worry about obtaining the orbit and clock data yourself. An important consideration with PPP is the necessity to correct for various effects that would otherwise cancel out in relative positioning techniques using one or more receivers. PPP needs to deal with many such effects, including site-displacements due to earth tides and ocean loading, phase wind-up, antenna phase center variations, and so forth. The higher the required accuracy, the more complicated the models need to be. As we will discuss in more detail later, the main difference between L1 and dual-frequency implementations of PPP relate to how the atmospheric errors are handled. We begin by looking at the traditional dual-frequency processing approach before moving to the single-frequency case. The PPP algorithm may use both the ionosphere-free linear combinations of carrier phase and pseudorange observations, or only the ionosphere-free linear combination of carrier phase observations. Using the pseudorange observations makes a difference for the initial convergence, but the final solution is almost fully dependent on the carrier phase data. The ionosphere-free linear combination is very noisy as it amplifies multipath and receiver measurement errors. The ionosphere-free linear combination is also very costly in terms of redundancy: from four dual-frequency code and carrier phase observations, only two ionosphere-free observations remain. With this in mind, convergence would be much faster if we did not have to use the ionosphere-free linear combination of code data. This becomes apparent with single-frequency PPP. You may have asked yourself, “Why is the ionosphere-corrected pseudorange data better than the ionosphere-free linear combination?” The answer is, first of all, the factor 2.546 in the ionosphere-free linear combination, which means that both noise and multipath on L1 is amplified by a factor 2.546. Secondly, because of the techniques used to defy anti-spoofing, the noise on L2 pseudorange can be very large for some receivers, and also it involves a factor 1.546. Finally, the TEC from IGS GIMs is computed from hundreds of receivers. And, despite the coarse models that are used for modelling the TEC in the GIM, the sheer amount of data that goes into these models makes them precise and very robust. However, we should point out the very limited experience with using these techniques under disturbed ionosphere conditions. So, for the final trade-off. We have shown that a single-frequency receiver may give you decimeter accuracy within minutes and actually outperform the more advanced dual frequency in terms of accuracy during the first 10 minutes or so. However, after some time, dual-frequency PPP will always outperform single-frequency PPP. So, is dual-frequency PPP the winner? Not necessarily. If cost is an issue, single frequency may win because the single-frequency PPP algorithm can also work with lower-cost receivers. 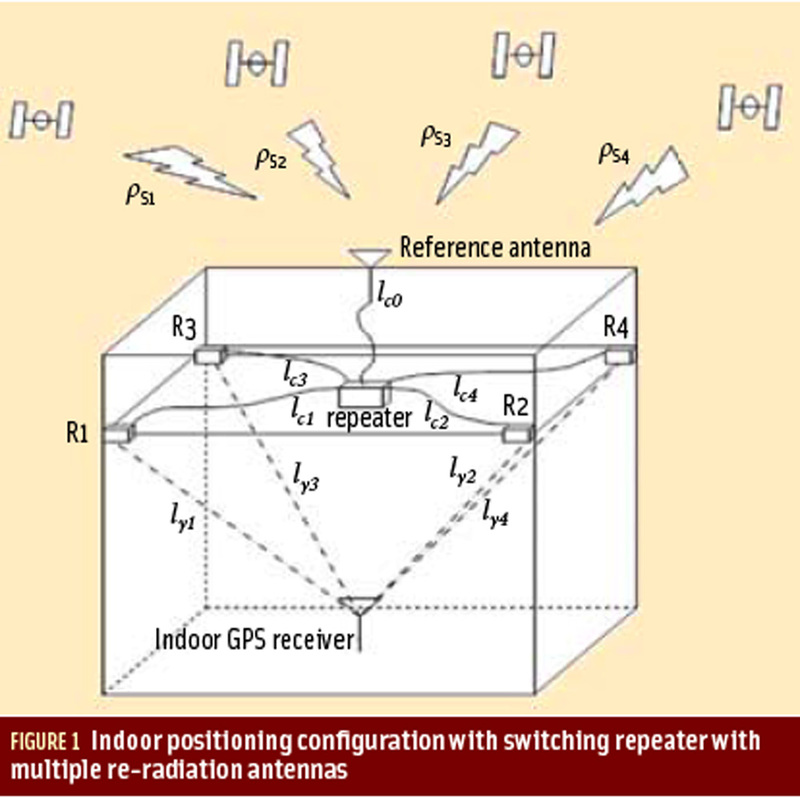 Moreover, in cities, on highways, or in areas with lots of overhead structures and associated frequent loss of lock on GNSS signals, single-frequency PPP may outperform dual-frequency PPP. Several on-line services allow you to upload your data and will do the PPP processing for you, free of charge. Two examples of such services are the Automatic Precise Positioning Service from JPL (retrieved June 26, 2012) and NRCAN’s Online Global GPS Processing Service (retrieved June 26, 2012).